can we save apps in mem crd after update it to android 2.1 ???? can we install the games and applications in SD card memory? and how? becoz its internal memory is minimum..
JMK Techie, 14 May 2011This phone is awesome. I bought it yesterday and I must say that themain advantages about this... moreHow much in the market now? JMK Techie, 14 May 2011This phone is awesome. I bought it yesterday and I must say that themain advantages about this... morehey duDe, wheRe did y0u get the swype keyb0ard? can y0u please giVe the liNk. can i know is it possible to block contact number for this phone to block contact numbers? - all round devices, mp3, games, video, internet, android apps.. but i really hope that SE will release new update.. 2.2 froyo soon to improve the performance. - angry bird game r lagging in certain level, latest update (rio) more worse. some other game too. - call functionality.. there is no end call button.. it in the screen, during calling session, the screen will automatically turn off, to end a call, need to press the lock screen button b4 end the call...it very annoying. - i download some game such as need for speed in intnt, yup can play...i hv thousand game but it required ridiculously permission such as read or reply sms, make phone call.in order 2 install..seem unsafe right? ( the original dont hv that, but u need to pay)..anyway, the memory is not enough...100mb plus2... just a few game only...that why SE must release the 2.2 udpate. why this phone so cheap? does it have a video call?need to know asap..
Hi! can anyone please help me on this. 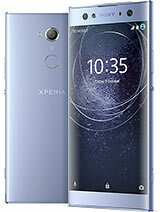 I bought Xperia X8 last week and I'm having difficulty in organizing my play list using the MP3 player. Is it posible to add another folder on the play list? can anybody tell me can i play online games on this phone. thanks. what is the price in delhi??? Amir, 13 May 2011that is very good but its camera isnt good thankwhat is the price?